If you have ever been into a Lush boutique you KNOW how addictive their products are. I absolutely adore that they stand for no animal testing, all of their packaging is recycled or non-existent, and most of their products are vegan! Some of my favorites are: Rose Queen bath bomb, Mint-Julips lip scrub, Sunnyside bubble bar, and the Charity Pot lotion. Bonus tip: if you bring back 5 clean black tubs (they’re clearly marked which ones qualify) you get a free face mask of your choice! 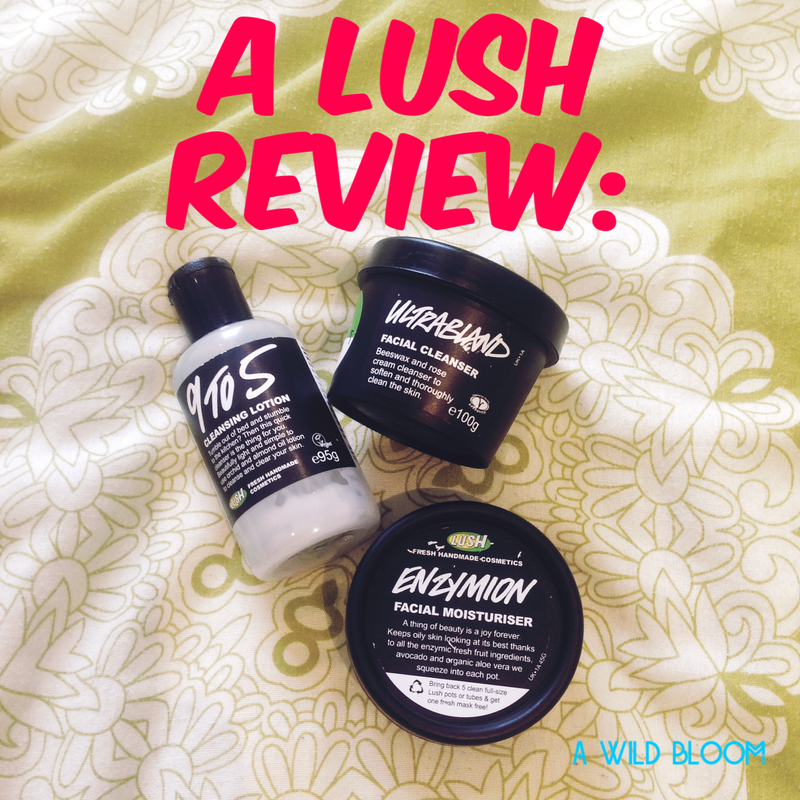 I had always loved their body products, so I figured why not try out their facial skincare! This stuff is RICH. It’s a super thick formula that you massage onto dry skin and then wipe off with a washcloth or cotton pad. It was a serious adjustment getting used to the indulgent nature of this product. I will say that it was a lifesaver during the harsh winter here in London; it gave my skin a protective barrier that locked in moisture like a pro. It also didn’t make me break out or make my oily zones any worse. It removes makeup fairly well and I would highly recommend for people with really dry skin in need of replenishment. Pros: moisturizing, calming, indulgent, 1 tub lasts about a month. After using the Ultrabland cleanser I wanted to try something lighter as the weather got warmer in London. 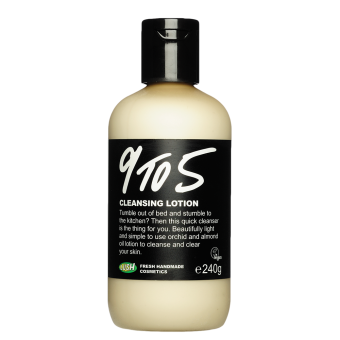 The 9 to 5 cleanser uses the same method of cleansing by massaging it into dry skin and then removing with a cotton pad. This formula is much lighter and almost disappears into your skin after you massage it. The fragrance is lovely and light and again it didn’t seem to make me break out but still gave my skin a bit of hydration. However it DOES NOT remove makeup very well i.e. I had to cleanse 2x and then swipe my face with witch hazel before it got everything off. Pros: light, hydrating, good fragrance. Cons: doesn’t remove makeup well. 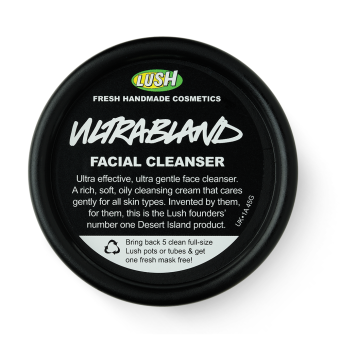 This was one of my favorite facial products from Lush. It is light but still gives my skin a ton of moisture without feeling heavy. It did a great job of healing any zits that would pop up and I did feel like it brightened my complexion. I also loved that it included ingredients like fresh lemon and papaya juice, tangerine oil, and cocoa butter. My only qualms with this bad boy is that my face did get pretty slick by mid-day and the tiny tub doesn’t last very long if you use it twice a day. At $40 a tub that adds up pretty fast. Pros: light, moisturizing, clears complexion. Cons: mid-day grease, expensive, doesn’t last long. There you have it! I hope you found these reviews helpful in your quest for your perfect skincare routine. What Lush products are your must-haves? 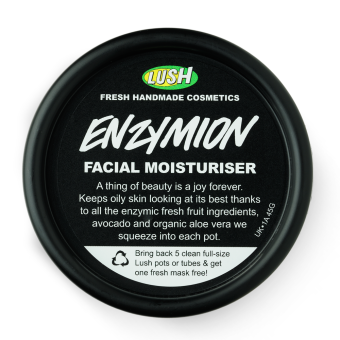 Posted on May 20, 2015 by andrewholmesdance	This entry was posted in Beauty and tagged 9to5, Enzymion, Lush, Review, Skincare, Ultrabland. Bookmark the permalink.